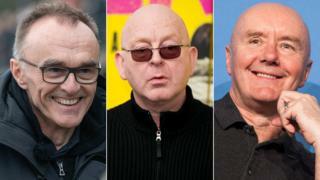 Trainspotting duo Danny Boyle and writer Irvine Welsh are reuniting to bring music mogul Alan McGee's biography to life on the big screen. Based on The Creation Records Story: Riots, Raves and Running a Label, it will tell the story of the man who signed Oasis and Primal Scream. Directed by Nick Moran, the film will also star fellow Lock, Stock and Two Smoking Barrels actor, Jason Flemyng. McGee also signed artists like My Bloody Valentine and Teenage Fanclub. He became a face of Britpop and a regular at No 10 - but financial problems led to McGee selling his company and personal problems led to issues with drink and drugs. He has since gone on to found several different labels, the latest being Creation23. Welsh has written the screenplay with partner Dean Cavanagh. The pair have a close relationship with McGee. Boyle is on board as executive producer and the cast will also include Rupert Everett and Suki Waterhouse. There has been no casting as yet for the Gallagher brothers, Liam and Noel, but surely the story can't be told without them. Welsh said: "I've been lucky to work with both Danny and Nick over the years and to have the two of them together on this project, along with Ewen, feels like a lottery win." Moran said: "Working as a team with Danny on this film is a dream... The last time him and Irvine worked together they changed the world of cinema. Who wouldn't be excited to be part of that team!" Shooting will begin in London next month.